Maybe it was Clare Waight Keller’s keen eye for key archival aesthetics that won the fashion world over, but it was more likely her own personality that made her debut at Givenchy Spring/Summer 2018 collection such a hit. She was previously better known as the “Chloé girl”, so breaths were held and expectations were high for Waight Keller, whom while settling into her new vocation, has also had to leave the boho chic romance at her previous tenure for a vibe with more attitude. She didn’t take long; she had spent a decade in the ‘90s rebelliously wearing black, so designing for Givenchy came quite naturally for her. Titled “Transformation Seduction”, the collection reveals her intention of evolving the brand’s aesthetics away from Tisci’s longstanding influence. Shoulders are placed in the spotlight once again, highlighted by sharp tailoring that fused sportiness — the fashion obsession that never left. 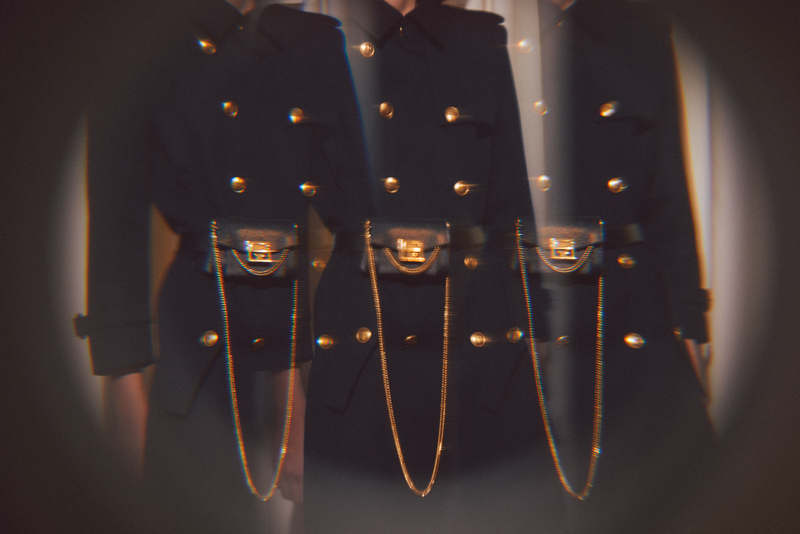 Stoic military coats are juxtaposed by soft, fluid dresses that revisited house prints of the past, and both were cinched at the waist by yet another trendy accoutrement: the fanny pack. Boots are the footwear of choice for Givenchy this season — the girls’ V-point knee-high boots look comfortable enough without losing its edge. The boys stand out equally. Lean silhouettes are married with a hipster insouciance, and cut with shiny fabrics in a palette of burgundy, midnight blue and fiery red. 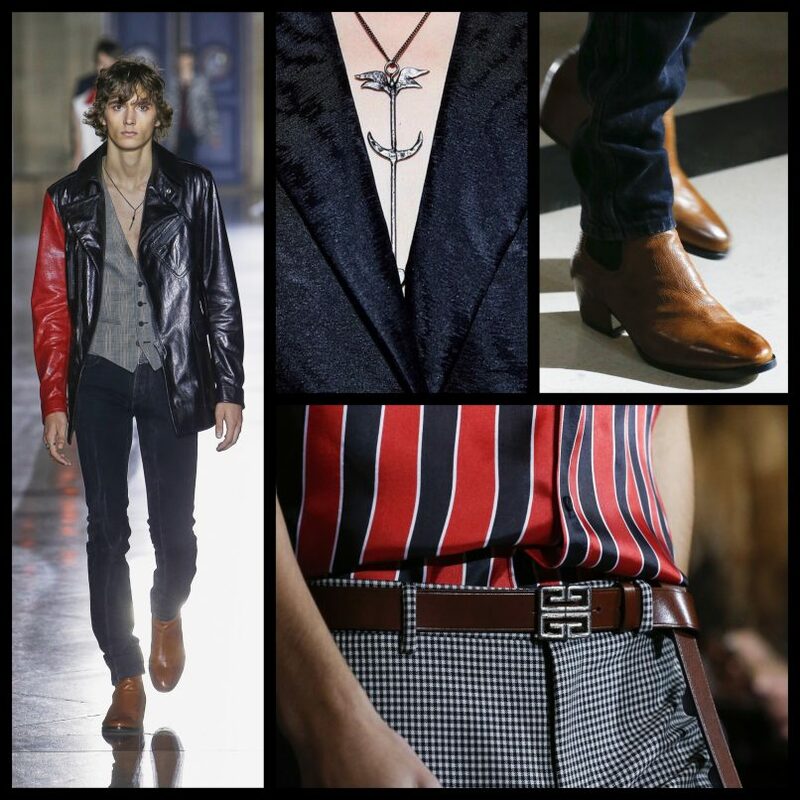 Vermillon jackets, a white leather gilet and denim outerwear were lobbed over fluid open silk shirts for contrast. Other hero pieces include oil slick-esque leather jackets, and a car coat with a flashy red arm for asymmetric flair. Accessories — undoubtedly a Waight Keller forte by now — arrives in the form of the GV3. 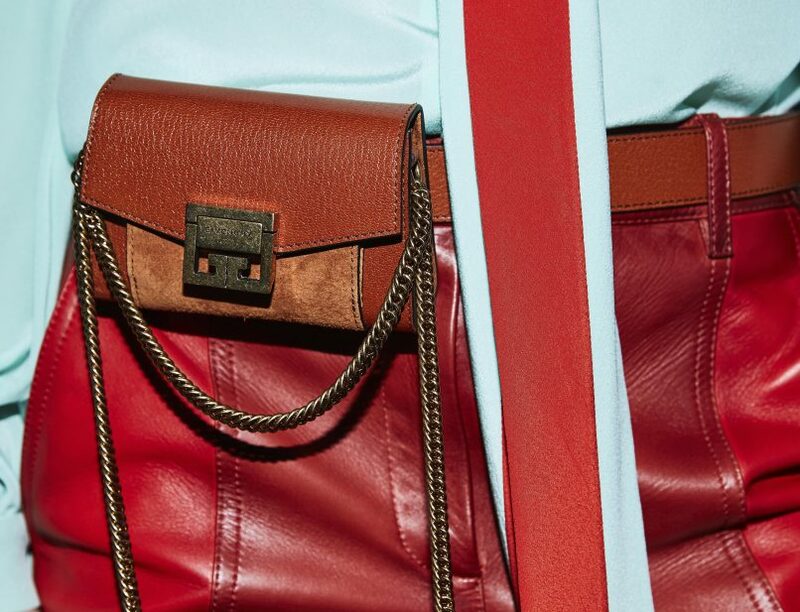 Named after the label’s original address on Paris’ Avenue George V Cinq, the multi-strap handbag sees a versatile boxy silhouette that’s punctuated by a rock-chic chain hanging off from the front. As her first handbag in her first collection, it was important the GV3 echoed the duality that ran in her ready-to-wear collection too. The complex three-compartment accordion-shaped bag meant practicality was achieved without the added volume. Then there was a contrast of smooth, shiny flat-grained leather mixed with suede for a chic finish that looks just at home with a casual ensemble as with a long silk evening dress. Its most pronounced feature: the “Double G” clasp is the biggest — and most obvious — tribute to this recurring theme. The GV3 is available in four sizes and can be worn four ways: on the arm, shoulder, cross-body, or as an evening clutch. 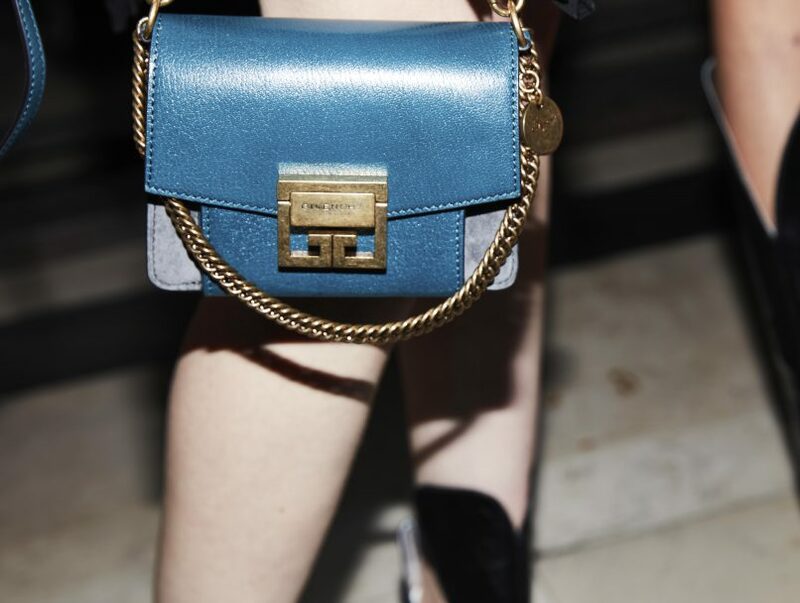 The smallest size, the nano, can also be worn on a belt (as seen on the runway). Surely Waight Keller’s outdone herself here. 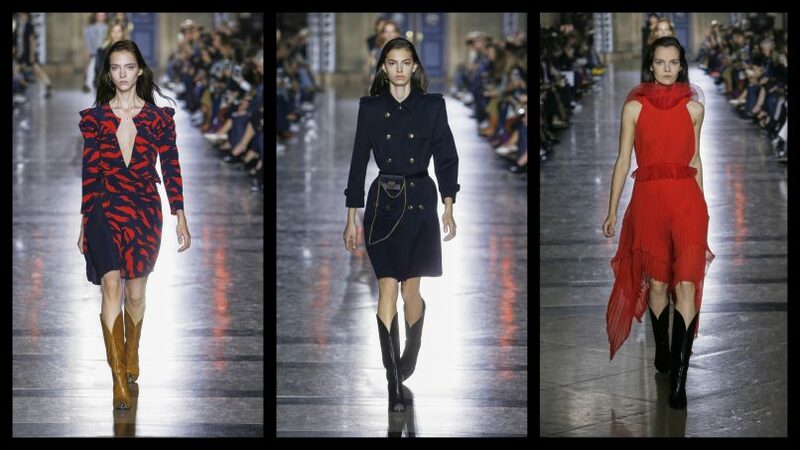 With the brilliant Brit at the helm, Givenchy has finally cast its net beyond streetwear now, nailing the sharp urbanity Parisians have come to be known for. Givenchy’s Spring 2018 collection is available in The Shoppes at Marina Bay Sands and Paragon boutiques.